'Another Country' invites you to take a journey into the landscape of the Lake District and discover the wonderful books it has transpired. 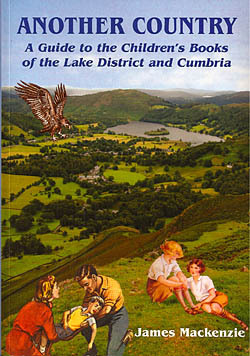 In this exploration of the children's fiction of the area, readers can discover the details of over 150 children's books, set in the rugged fells, islanded lakes, coasts, and even caves, in this dramatic area. James Mackenzie tracks the stories meticulously through the landscape, enticing the reader to return to old favourites or discover new treasures. With his guidance, in reality or in imagination, readers can climb to the grim Roman setting for Hardknott Fort, visit Jeremy Fisher's tarn, pass through the rocky outcrops of the Gates of Bannerdale and stand on the peak in Darien where a certain famous telegram was received. 1. Over 150 children's stories discussed. 2. Authors include Arthue Ransome, Geoffrey Trease, Rosemary Sutcliff, Elsie J Oxenham and Angela Brazil. 3. Maps of each location. 4. Guides to visiting the locations in real life. 5. Extensive illustrations from the books and photographs of the area. 6. Cross-referenced so you can start with the landscape or the books.